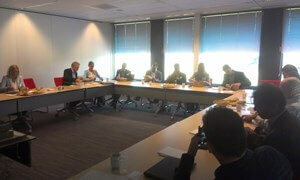 When everyone was provided with a sandwich and a cup of coffee Ed Klijsen presented the vision of FPC on the approach to tackle logistic DOAs. Hereby the results of two researches of the University of Groningen were presented. The fact that good process control in the logistic chain can improve efficiency and save a lot of money turned out to be a real eye-opener. 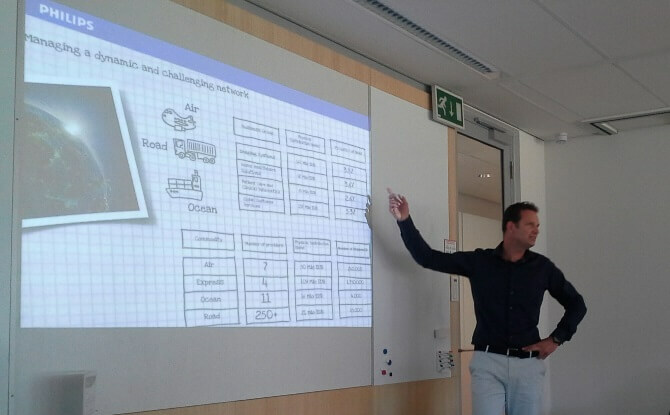 Eric Ermstrang (Director of Global Transportation & Packaging) presented the way the spare parts organization at Philips Healthcare is organized and which problems they encountered concerning defects on arrival. Eric told about the collaboration with FPC where drastic standardization and process securing was achieved by implementing PackAssist. How easily accessible the software tool is applied was shown by Bart van Dijck of FPC in a short demonstration. Finally Philips gave a tour in the Customer Visit Center. 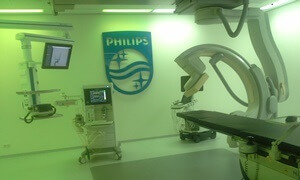 In this live demonstration room all medical devices that Philips brings to the market are displayed. During the tour it got clear that Philips engages in the process of hospitals to a great extent and anticipates to this in an innovatie manner.